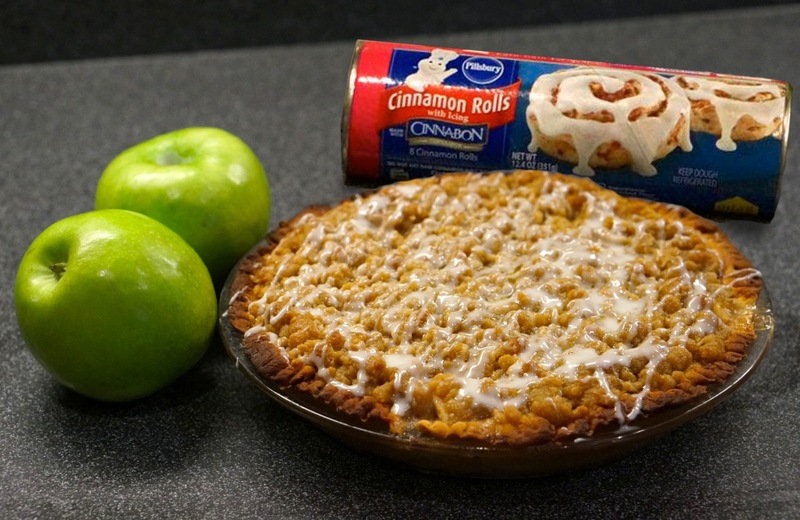 I was scanning Pinterest the other day and I saw a picture of someone using Cinnamon Rolls to make that crust of an apple pie (the picture is below). 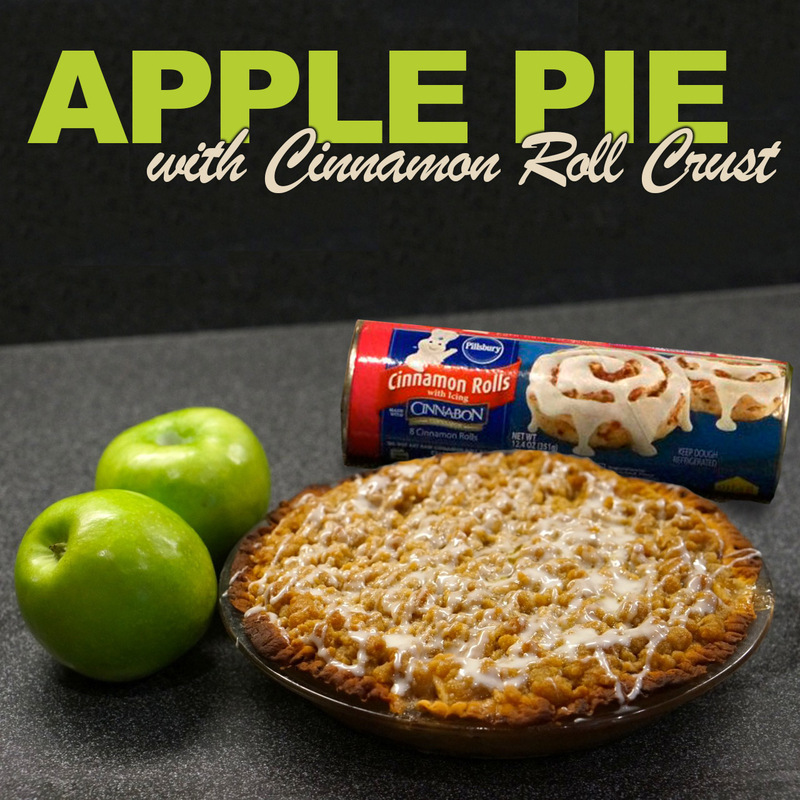 This sounded too good to be true – not only does it solve the problem of pie crusts being difficult to make (at least they are for me), but it also incorporates the amazing-wonderfulness of Cinnamon Rolls. 1) Preheat oven to 375 degrees. 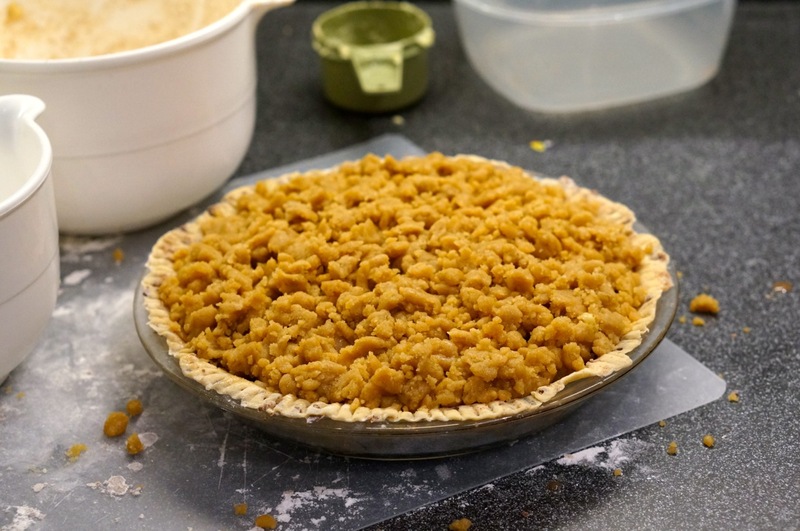 We started with the crumb topping. 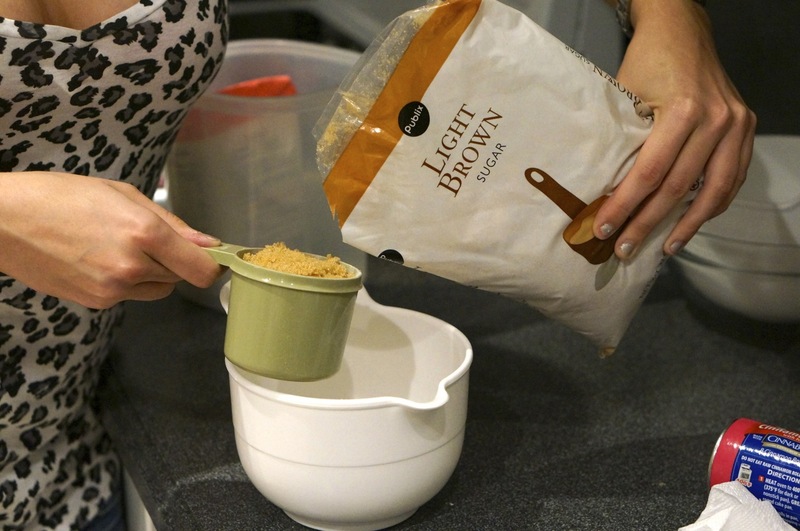 Add your cup of flour, cup of sugar, and half cup of softened butter in to a medium bowl. Mix until clumps start to form. Cover and refrigerate. 2) Open cinnamon rolls and put icing in refrigerator for later. 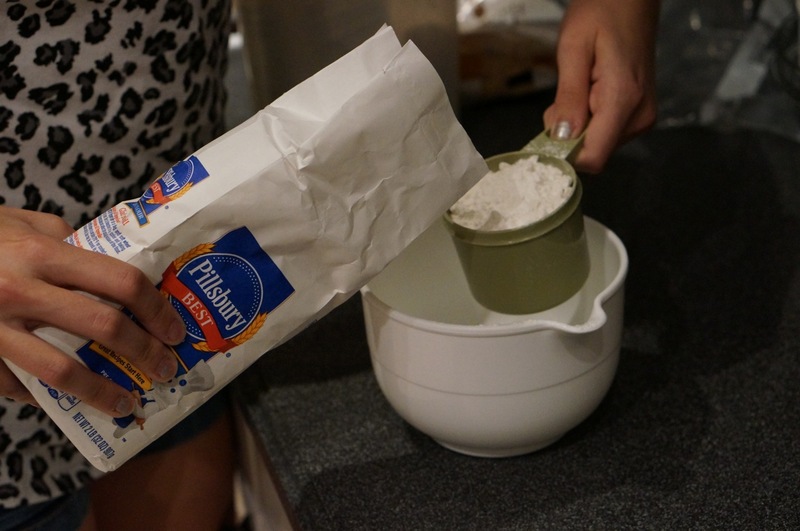 Put flour on your rolling pin and surface. 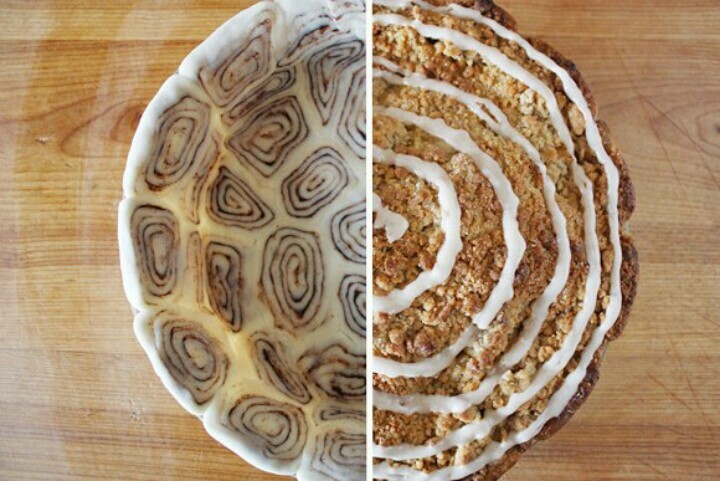 Roll the cinnamon buns until they are flat. 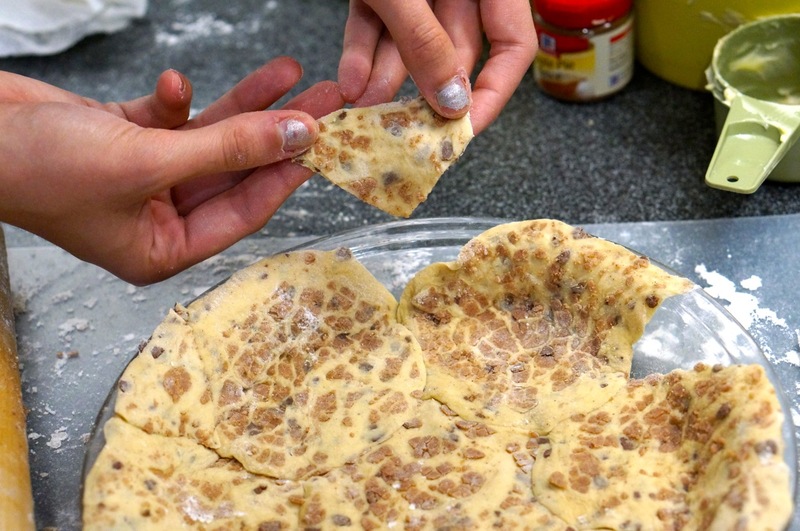 3) Put them in your pie pan and use your fingers to squish them together. This should use 7 of your buns. 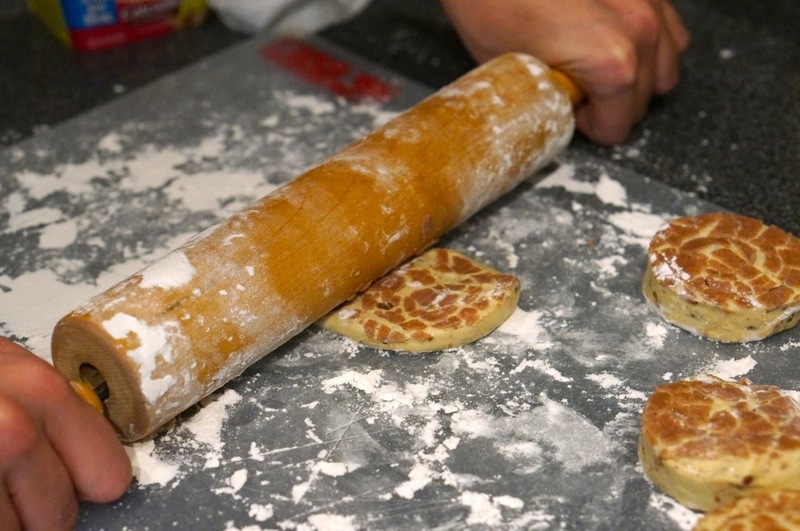 4) Cut up your last cinnamon bun to fill in the holes. 5) Flute the edge (I found out that’s just a fancy way to say “press down edge with a fork”). 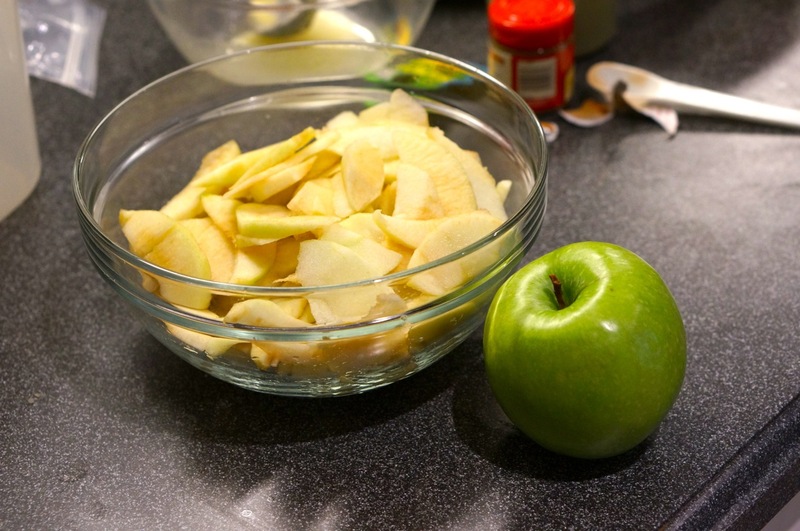 6) Cut up the apple into thin slices. We used an apple cutter, then used a knife to cut them smaller. 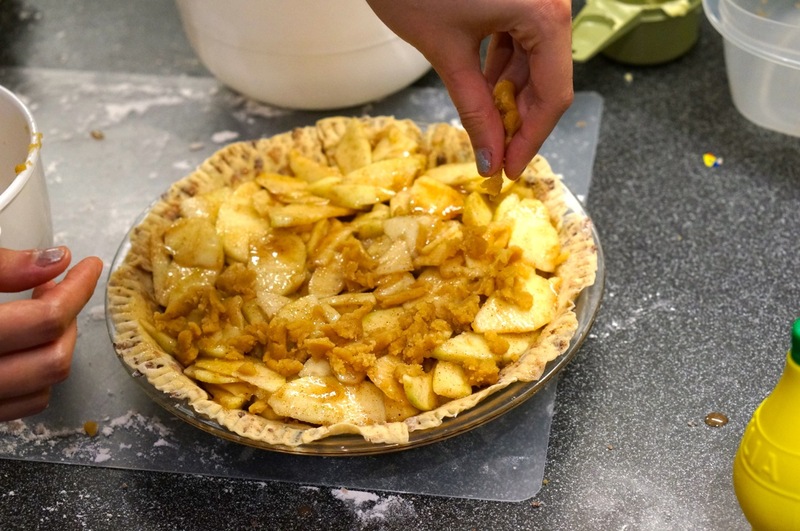 7) Mix in ingredients for filling and put apples into the crust. 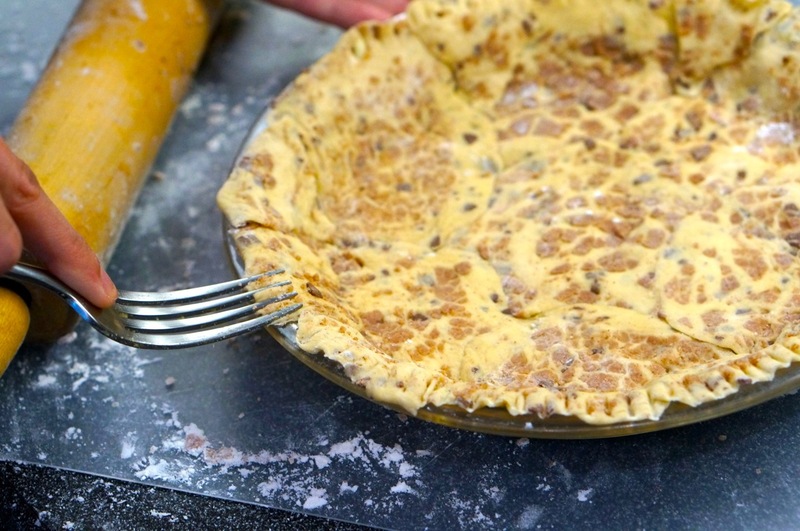 8) Sprinkle crumbs on top until completely covered. 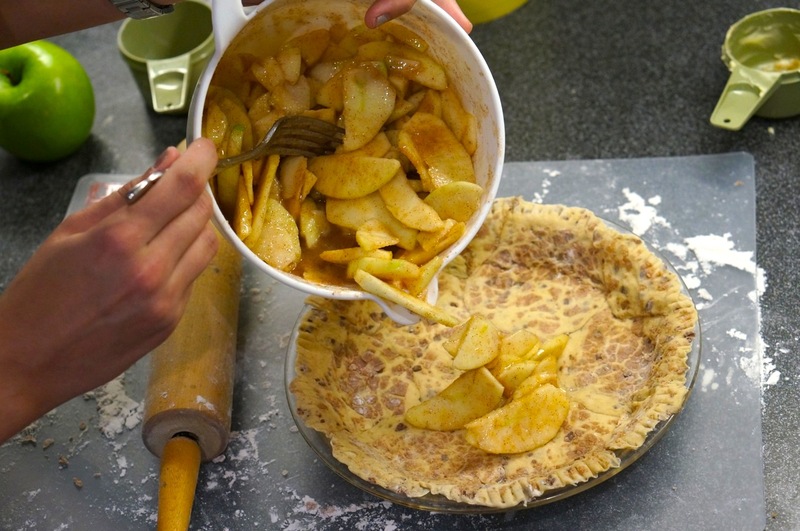 9) Bake for about 1 hour (or until apples are tender and top is golden brown). This will take a little longer if the apples are cut thicker and less if they are thinner. 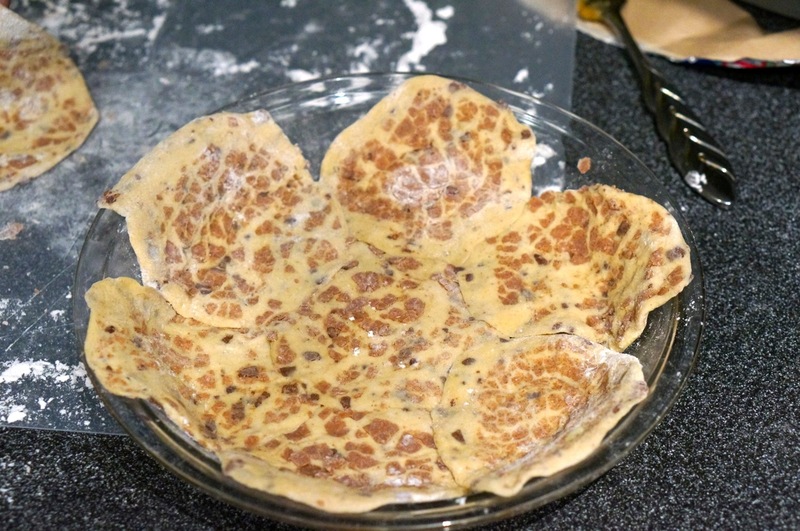 10) Microwave icing for 10 seconds and drizzle on top. 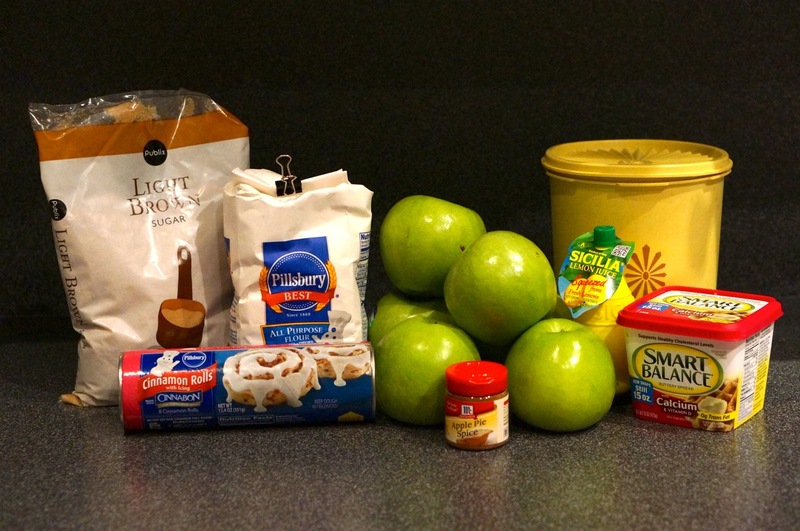 If you are looking for another fun apple pie inspired recipe, check out my apple pie cookies! In the Pillsbury recipe, they blind bake the “crust” for 10 minutes. You didn’t do this. Do you think it makes a difference? 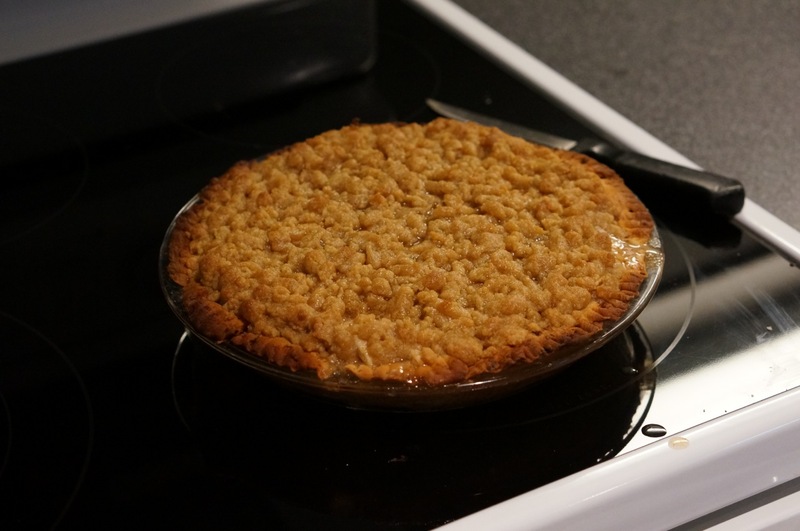 I was planning on making this the night before for a pie contest, but don’t want it to end up soggy. Thanks! Is the filling sweet enough without adding sugar? For sure! The filling turned out delicious! This was simple and sweet. The filling was absolutely sweet enough. Only problem that I ran into was the “crust” was actually a little over done. I think next time (and there will be a next time, I will keep the apples sliced thin and reduce the time. Otherwise, it was great. Thank you so much Janeen! 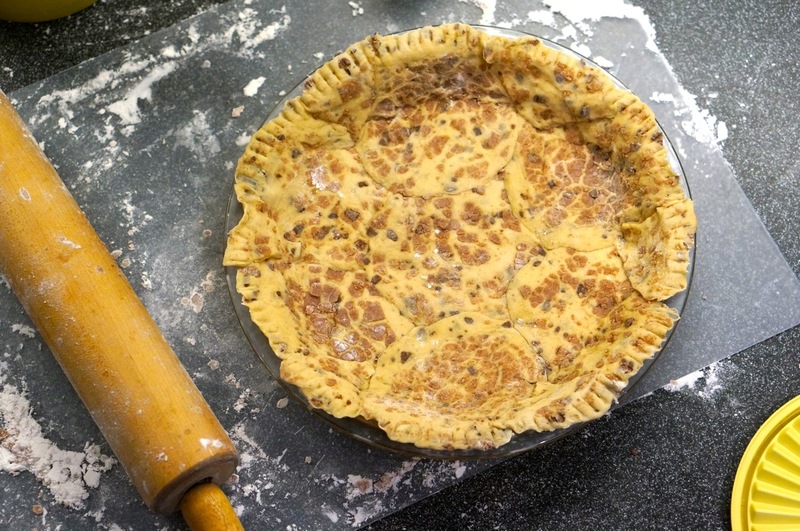 It is hands down my favorite pie recipe, and surprisingly easy! I’m glad that it is making its way into your holiday traditions! Hello! this looks amazing! how far in advance can I make it? I would like to make it like 2-3 days in advance from when I need it… Do you think that would be an issue? I think you should be fine making it a couple days in advance, but 3 might be pushing it. Hope that gives you enough time!